We are lucky to live in a country of exceptional diversity and natural beauty. No matter which city you reside in, an hour’s drive (or less) will take you to any number of amazing views, heritage sights, game reserves or places of historical significance. So, there’s really no excuse for not making the most of it and exploring… and what’s more, no excuse for not introducing your kids to the magic. 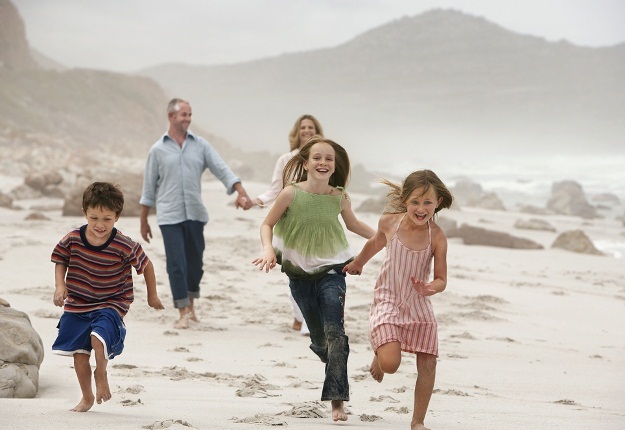 While it may sometimes seem easier, cheaper and more sensible to stick to your everyday routine during school vacations - shipping the kids off to malls or holiday clubs to stay entertained and out of trouble – why not set one particular holiday aside each year for family exploration? Even though your kids may protest and seem unimpressed, having their parents introduce them to their country is a priceless gift they will cherish – secretly, at first – and maybe even thank you for later. Here are 13 places we’d suggest you include in your list. In many ways, Kruger is South Africa’s quintessential nature reserve – not only is it one of the largest in Africa at 19 633 square kilometers and home to the Big 5, it also has a special sort of atmosphere you will be hard pressed to experience elsewhere. Be sure to: Snap a family shot at the old lighthouse. Actually make it two – one with the spectacular view in the background and the other at the famous directional sign post. Okay, let’s just be frank – getting to this incredible geological sight is not easy. Hole-in-the-Wall is located about 8km south of the tiny Wild Coast village of Coffee Bay and about 86km from the city of Mthatha on mostly gravel roads with loads of potholes. However, you will be rewarded grandly for braving the discomfort. Apart from the actual Hole-in-the-Wall formation, the surrounding area is spectacularly beautiful – wild waves, rough sand beaches and rolling green hills dotted with traditional huts. Be sure to: capture your kids’ imaginations by telling them a few fascinating historical tales about the Wild Coast – read up about its various shipwrecks and the story about Nongqawuse, the young Xhosa prohpetess whose prophecies led to a millennialist movement that culminated in the Xhosa cattle-killing crisis of 1856–1857. For many people Mpumalanga is synonymous with wildlife experiences, however there’s a lot more to the province than you might think – incredible vistas, spectacular waterfalls, intriguing villages and rushing rivers. The Panorama Route basically takes you right along all Mpumalanga’s most spectacular spots: God's Window, Wonder View, the Pinnacle, Bourke's Luck Potholes and Three Rondawels. You will also be able to see an array of waterfalls, including Lisbon Falls, Berlin Falls and Mac Mac Falls, as well as the goldrush town of Pilgrim's Rest. Be sure to: Have an old-fashioned family shot taken at Pilgrim’s Rest and have a copy made for each of you. The Amphitheatre is one of the geographical features of the Northern Drakensberg and is widely regarded as one of the most impressive cliff faces on earth. If you think your kids need a bit of perspective about their place in the world, this is one of the best spots to take them… and they’ll remember it forever. Be sure to: do the hiking trail to the foot of the magnificent Tugela Falls. The easy seven kilometer hike will take you right to the base of the world's second tallest falls, which plunge over 948 metres. While it may not be one of the highest waterfalls in the world, like the Tugela, the Augrabies Waterfalls provide something of a contrast to its arid Northern Cape surrounds. The falls form part of the Orange River and provide an impressive example of granite erosion, as it has cut a gorge of 240 m deep and 18 km long over time. Chances are good that your kid would visit the museum at some point as part of an educational trip, especially if you live in Gauteng. However, sharing your personal experiences of our country’s tumultuous history and the atrocities of Apartheid will add value to the experience. Fuel your youngsters’ imaginations by taking them to one of South Africa’s most fantastical sights – the Cango Caves. Located in the foothills of the Swartberg near the town of Oudtshoorn, this extensive system of tunnels and chambers goes on for over four kilometers, of which only a quarter are open to visitors. Be sure to: look out for the fascinating nativity scene formation known as Madonna and Child. Mary cradles the baby Jesus in her arms. Alongside her stand the Three Wise Men and, with a little more imagination, two shepherds kneel in silent adorationto her right. As far as tourism goes, Pretoria hardly has the magnetic attraction that Cape Town, Durban and Johannesburg do. However, visiting the city at the height of Jacaranda season (October and November) is an absolute MUST! It is estimated that there are between 40 000 and 70 000 Jacaranda trees in Pretoria, which provide a breathtaking purple display over roughly an eight week period in late spring each year. There are also almost 100 rare white Jacarandas that can be found in Herbert Baker Street in Groenkloof. While the downstairs section is mainly focused on foodstuffs – fish, spices, meat and veggies, the top floor is filled with pretty trinkets, crafts and fabrics. Probably one of the most magical natural events to take place on an annual basis, seeing the usually arid Northern Cape region of Namaqualand covered in a lush carpet of colourful flowers is something each South African should experience at some point in their lives. Depending on a variety of factors, Namaqualand flower season normally reaches its peak sometime during the months of August or September. Towns notable for flower viewing include: Garies, Kamieskroon, Springbok, and Port Nolloth, all located about five hours’ drive from Cape Town. Do the 5.5km Blue Duiker trail which will take you through scrub forest, along the ocean (where you may even spot a whale or some dolphins), among fynbos and finally into the magical forest where elephants once dwelled… and may even still roam. The island where the late Nelson Mandelaand many other struggle stalwarts spent more than two decades of their lives is worth the effort, despite the sometimes long queues and unpredictable operations of the ferries servicing the island. 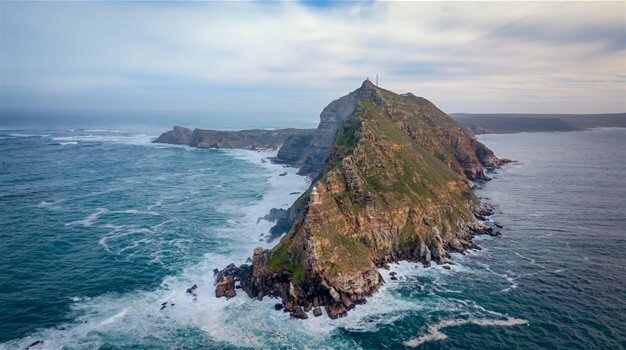 Your island visit, especially poignant in the 20th year of our democracy, could be the starting point of a host of other Madiba inspired travel moments, as South African Tourism has recently launched a travel map detailing significant places to visit for a more personal look into the life of this global icon. Be sure to: Print the kids a copy of William Ernest Henley's Invictus, which Mandela made his own personal mantra, and recite it with them as you stand in the tiny confines of his cell. It will go a long way to teaching them perseverance. @news24travel, share your thoughts on Facebook, drop us a line or tag us on an Instagram pic. - WATCH: SA makes top 20 cheapest global destinations list - Twice!